Comments archived from online obituary guestbook. Barb was a special friend, the kind who you could not see for years and just catch right up with and enjoy being together. I’ll never forget our “pretend shopping” at the Art Show and sale, the last time we were together. We met through homeschooling in St. Louis, but she became a lifetime friend. Love and prayers for all the family as you miss Barb. Thank you, LORD, that we’ll all be together in heaven one day, where Barb is now walking with Jesus and no longer in pain. Barbara was a lovely lady with a gift of hospitality and many contributions in the service of others. Above all she was a sister in the Lord Jesus Christ. Deborah and I regret we were out of town and unable to attend the memorial service, but are happy to have this opportunity to join others who will miss her very much. “Blessed are the dead which die in the Lord from henceforth: Yea, saith the Spirit, that they may rest from their labours; and their works do follow them” (Rev.14:13). Our prayers continue at this time of great loss. Barbara will always have an imprint on my life, she was a wonderful example of how a mother’s love is. I will miss her dearly, her memories that we have shared will never be forgotten. This is but a short time and soon we all shall be reunited in Glory. Barb was my mentor and a key reason I homeschool… She spent hours with me, guiding me, praying with me and going over curriculum. I now have 2 children that have graduated highschool and they were homeschooled the whole way, thanks to Barb’s encouragement and guiding when I was first starting out. I am still homeschooling my youngest. I feel that I am a small part of the God honoring legacy that Barb leaves behind her. I am heart broken for her family and heart broken that I had lost contact with her over the years.. I am so happy she is rejoicing in heaven, even as I am crying for our loss. I love you Barb and so thankful you played such an influential role in our lives. George, my prayers are with you and the rest of the family. We stand with you in prayer at the passing of Barbara. We praise God that she is safe and whole in His presence and pray you find comfort in that knowledge. From all of us at the Disciple Nations Alliance. What a blessed knowledge to know that Barbara is celebrating this Christmas at the feet of Christ in Heaven. May God touch all of you with His peace and comfort at this time. I am praying for you all in the pain of this loss. Barb was a true light for Christ, an example of love and hospitality, with a heart for God. I am happy to know that she is with the Lord, rejoicing at this moment, but the pain down here for the rest of us is very real. Praying that God would comfort your hearts and fill you with His peace and strength each day. George,may the Lord comfort and strengthen you and grant you His tender mercies, new each morning. May the Lord give you patience as you live the rest of your days waiting to join her in your heavenly inheritance in Christ Jesus. We send our love and prayers. Barb was such a joy and inspiration to us all. I have fond memories of those early homeschool days. Thank you Tingoms for your work of love. George, I am so sorry for your loss, but rejoicing that Barb is now with Jesus. How blessed you are to have such wonderful memories of your dear Barbara. She leaves a wonderful legacy to be remembered and treasured by her family… her life truly set an example to be followed! May you and the children be comforted by thoughts of all the good times you shared and the knowledge of the joy she now knows. 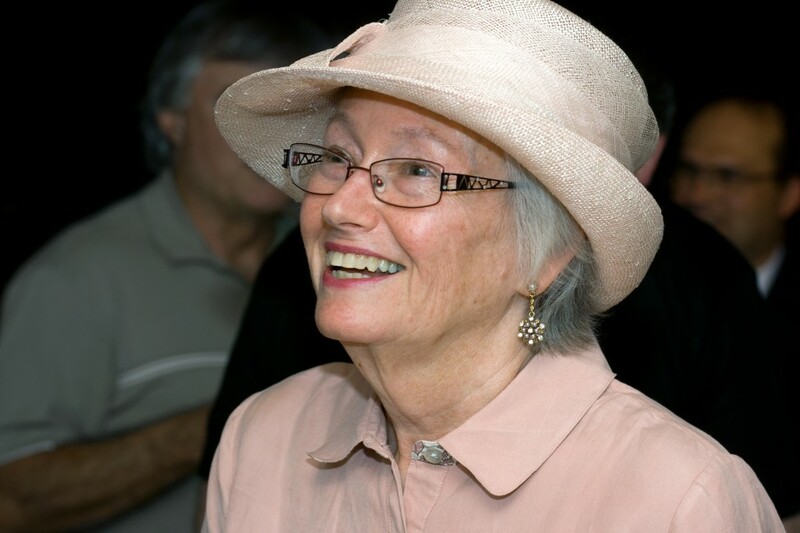 Barbara was a servant of God who loved mission work. With her husband, George, they were great encouragers of each missionary at Harvest Foundation and we’ll miss her sweet presence, until we meet again with Jesus. I’m so sorry to hear of your loss. Barb was such an amazing and warm person and will be greatly missed! It was great seeing some of you the other day at my recital.. Thanks for your support and friendship over the years. My thoughts and prayers are with you in this difficult time! God Bless! as a woman, as a wife, and as sailor! We Love You Barbara And You Will Never Be Forgotten. We rejoice with George and family that Barb is free from the struggles and pain of this world and present with her Lord and King, Jesus. Barb always had a smile on her face, even when facing trials. She will be missed by many. I am thinking of sitting in our grandmother’s back stair to the kitchen behind the closed door and listening in on the adult talk in the kitchen~ and giggling. Giggling goes with times with Barbie. And catching fireflies on grandma’s lawn or exploring the “woods” next to grandpa’s garden together~ all in our Pennsylvania childhood. I am thinking of swimming in your pools in Arizona with my family. Of Brook’s magazine, Kindred Spirits, and how proud Barbie is of her daughter. Of Chris’ web work and how proud Barbie is of him. Of the grandchildren that are such a blessing to her and whose presence opened the world of smocking for her.I will miss her, but she is in my heart forever. Hugs and kisses to each of you. Barbara taught our girls all the skills they needed for babysitting when Brooke and Chris were babies. She was a sweet, gentle lady and was loved dearly by our children. Barbara always had a smile for everyone. She was an angel on earth. We all love Barb and George. Barb will be deeply missed. She was such a sweet sweet lady. I have fond memories of Barb home schooling back in Missouri. She will be missed. Praying for comfort, peace and strength for the family in the days ahead as you adjust to life without her. I’m so sorry for your loss, but we will see her again some day! Blessings to the family. Barb was such a sweet person. We got to know her and George when our eldest son was dying of cancer. They opened their hearts and their home to us for which we will be eternally grateful. While we stayed with them they made sure we had every creature comfort available to us–and treated us like family–we are because we have Christ as our brother. She and my son Greg are now walking the streets of gold and are no longer in any pain! Praise be to God!! A very special lady indeed and a joy to be around and sail with. She will be missed. “For if we believe that Jesus died and rose again, even so God will bring with Him those who have fallen asleep in Jesus” (1 Thess. 4:14). May the comfort of the Father, Son, and Holy Spirit be with you all, and know we love you. Barb was one of the first people I met at Calvin OPC. She made me feel welcome and invited me over for a Thanksgiving dinner. I will miss her ! Barb was a dear lady. I miss her. I am grateful for the hope of eternal life through Christ Jesus our Lord. I feel much sorrow at the loss to your family. Barb was a great encouragement when I started homeschooling. I have prayed as I viewed Chris’s posts on Facebook, and am praying for comfort and peace for your family.